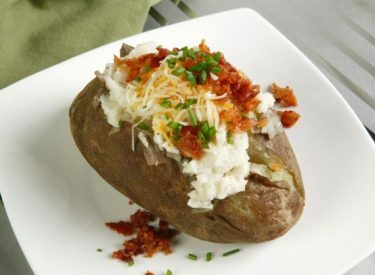 The Friendship Feast Fall Fundraiser, a baked potato bar with two options, is scheduled ffrom 4:30 to 7 p.m. Friday, Oct. 19, in the fellowship hall of First Christian Church, 210 North Fifth Street in Ponca City. Advance tickets for adults are $8. Tickets at the door are $10, and $3 for children ages 4 to 12. Children 3 years of age and younger may eat for free. Diners can choose between loading their potato from the American Potato Bar or the Fiesta Potato Bar. Sides on the American Bar include butter, sour cream, onion, ham, and cheese. Sides on the Fiesta Bar are taco-seasoned ground beef, onion, cheese, butter, sour cream, and picante sauce. Home-baked cookies and a drink will accompany the meal. Carry-out service will be available also. Proceeds from the meal support the Friendship Feast Ministry in purchasing food, disposable utensils, and other supplies. The Friendship Feast is a non-profit organization consisting of volunteers from local churches and benevolent organizations in Ponca City. The mission of the Friendship Feast is to provide good, wholesome meals to those in need in the community. Meals are served Monday through Thursday in the fellowship hall of the First Christian Church from 5:30 to 6 p.m.
Tickets for the fundraiser can be purchased at the door on the evening of the meal. Please come and enjoy a “spudtacular” meal in the fellowship hall of First Christian Church or take one or several spuds, cookies, and beverages home in support of this loving, Christian-based, ecumenical mission in Ponca City. For more information, call (580) 762-1667 or (580) 352-2945.